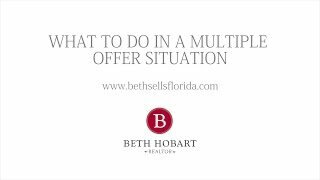 No matter if you are on the buying or selling side, handling multiple offers on a house in a real estate transaction can be tricky. Beth Hobart with Beth Sells Florida walks you through some simple steps to navigate the process with ease. Beth Hobart with Beth Sells Florida talks about the next steps after your offer is accepted. Beth Hobart with Beth Sells FLorida explains the difference between a traditional real estate contract and an as-is contract. 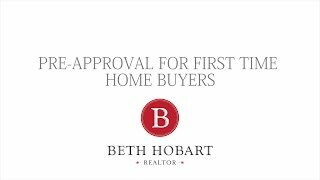 Beth Hobart from Beth Sells Florida explains the first step in purchasing a home is talking to a lender and getting a pre-approval.